Our IPC Doctors work as team to look after you. Dr Fabrina Hossain graduated from the University of Queensland in 2012 and undertook her initial training at the Princess Alexandra Hospital in Brisbane. 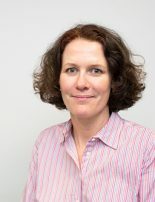 She spent 1 year as a GP registrar at Inala Primary Care in 2015 and returned to Inala in 2018 after becoming a Fellow of the Royal Australian College of General Practice. 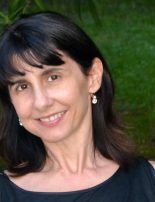 She has special interests in chronic disease management, women’s health and refugee health. She completed her Diploma in Child Health in 2017 and has trained to insert and remove Implanons. Fabrina is fluent in English and Bengali and supports our liver research team. Outside of work, Fabrina enjoys spending time with her son, reading and travelling with her husband who is also a doctor. Dr Laura Wilson studied at Griffith University on the Gold Coast and graduated with a Doctor of Medicine degree in 2015. She joined Inala Primary Care in January as one of our 2018 Registrars. Dr Wilson has chosen to pursue a career in general practice because it allows her to experience many different aspects of medicine. She also enjoys the benefit of getting to know her patients and their families. Dr Wilson is passionate about Women’s and Children’s health and is looking forward to developing a range of skills during her 12 month placement at the practice. 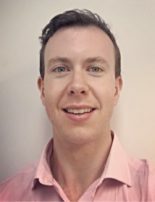 Dr Nicholas Martin is a General Practice registrar and will be with Inala Primary Care full time until January 2019. He has previously worked as a GP in an indigenous clinic. He has also had hospital roles at The Mater Hospital, Mater Mothers Hospital and the Lady Cilento Childrens’ Hospital. He enjoys the diversity of patients general practice offers and has special interests in sexual health, public health and palliative care. He also performs implanon insertions and removals, as well as the excision of skin lesions. Outside of work, Nick enjoys running, spending time at the beach and relaxing with coffee and a good book. 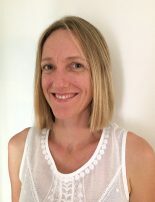 Dr Caroline Yates has been with Inala Primary Care for over three years enjoying general practice and supervising, teaching and training new GPs. She has a strong interest in chronic disease and is one of the original Fellows in the Keeping Kidneys Program, and now also works in the Brisbane South Complex Diabetes Service at Inala Primary Care. Caroline’s other special interests include contraception, Refugee Health and Aboriginal and Torres Strait Islander Health. When she can get away, Caroline enjoys working in rural and remote locations and is particularly interested in improving the health of disadvantaged groups. Caroline performs Implanon and Mirena insertions. Outside of work hours Caroline is kept very busy running around after her 4 active boys. Dr Suzanne Williams is the Director of Medical Services at Inala Primary Care and was the medical driving force behind Inala Primary Care’s successful Keeping Kidneys Service. In 2016, Sue was the recipient of the Kidney Health Australia ‘Operation Angel’ award in recognition of the significant contributions that she has made to the management of kidney disease in the community. 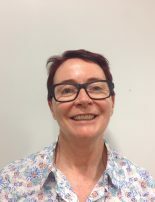 Sue’s special interests include chronic disease management and complex comorbidity, geriatrics, paediatrics and the development of innovative models of general practice care delivery. Sue’s procedural skills include skin cancer diagnosis and management and excision of skin lesions. Outside of work she enjoys trail walking, hiking, sailing, and being an involved and helpful parent to 3 children whose ages span 8 to 22 years. 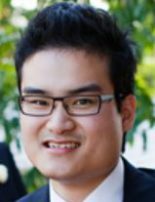 Dr Cang Van grew up in Inala and first trained as a pharmacist. He maintains an ongoing interest in medication management through the oversight of our current pilot which uses a Pharmacist within the practice to provide patient education, medication reconciliation for folks leaving hospital, advice on drug combinations and reporting of adverse drug reactions to authorities. After doing two stints with the practice as a trainee doctor, Dr Van returned as a qualified FRACGP in January 2014 and now works Tuesdays, Wednesdays and Thursdays. He has a Certificate in Primary Skin Cancer Medicine and Certificate in Skin Cancer Surgery and has also trained to insert and remove implanons. Dr Van speaks fluent English and Vietnamese. He enjoys cycling and holiday adventures to stay fit and broaden his knowledge of other cultures. Dr Ingrid Weate has been with Inala Primary Care for almost 7 years and even though she owns her own practice, she continues to enjoy working with us and servicing the Inala and surrounding communities. 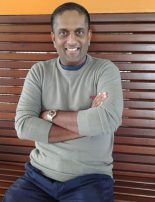 Dr Weate graduated from the University of Queensland Medical School with Class 2 Honours in 2002. Prior to this, she trained and worked as a physiotherapist in QLD and the UK. Dr Weate plays an active role in the supervision and teaching of trainee general practitioners and medical students. Her medical interests are: Preventative Care, Women’s and Children’s health, Contraception, Mirena and Implanon -insertions and removals, Chronic Disease Management, Mental Health, Travel Medicine and GP level dermatology. 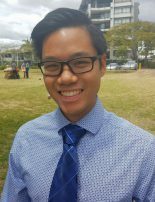 Dr Jonathan Tey has now returned to Inala Primary Care after completing his Diploma in Child Health. Jon is particularly interested in Paediatrics, Antenatal care and Skin Cancer Medicine, and his procedural skills include minor skin excisions and Implanon insertions. Whilst harbouring a professional interest in supporting medical outreach in developing countries, Jon currently enjoys spending time with his wife and two young daughters. He also likes to cycle and travel, and relaxes playing the guitar, watching rugby league and drinking good coffee. Dr Anoop Raman has special interests in General Practice Medicine, care of the elderly or Geriatrics, Paediatrics, and Chronic Disease management. Procedural skills include simple skin excisions, biopsies, and Implanon insertion and removal. Outside of work hours Anoop likes to spend time with his family and watching Indian movies. Anoop also speaks Malayalam and Hindi. Dr Clare Maher has a special interest in Diabetes and works as a Clinical Fellow in the Brisbane South Complex Diabetes Service. Clare’s special procedures include reading Diabetic Retinopathy images and the management of insulin stabilisation. Her interests include visiting a teen mothers’ school at Sunnybank to provide support for vulnerable young mothers and their babies. She is also an avid reader. Dr Simone Dowling brings to Inala Primary Care a strong background in Women’s and Children’s Health. She is especially interested in Menopause, Polycystic Ovary Syndrome and contraception, and also the insertion and removal of Implanon. Simone also works at TRUE (previously the Family Planning Clinic) in Fortitude Valley where she further pursues her interests in Relationships and Reproductive Health. Simone enjoys working at Inala Primary Care and her goal is to become an established and valued member of the IPC team. Outside of work hours Simone enjoys bringing up her young family. Dr Kanthi Dias has lived in Australia for 30 years and is now in her second year at Inala Primary Care. 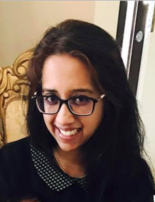 Kanthi enjoys working with refugees and has a deep understanding of the trauma associated with war and relocation. She brings to Inala Primary Care a repertoire of special interests that include Women’s Health, Paediatrics, Dermatology, Travel Medicine, General Medicine and Obstetrics, and procedural skills including skin excision and Implanon insertion and removal. Kanthi is also an accredited GP Teaching Supervisor and will be taking on more GP Registrar support. Outside of work hours Kanthi likes to play table tennis and Badminton and take Zumba classes. She relaxes using Meditation and Mindfulness techniques and Taichi. Kanthi also speaks fluent Sinhalese. 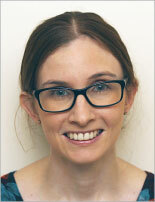 Dr Helen Dettori works as a Clinical Fellow in the Brisbane South Complex Diabetes Service at Inala Primary Care. She enjoys working with the full range of presentations to general practice and particularly helping people to understand and manage their medical conditions. High on her interest list is assisting patients to improve their physical and mental health and prevent complications. Helen’s other interests include Adolescent Health, Mental Health and Women’s Health and she performs Implanon insertion and removal. Outside of her work at Inala Helen continues her general practice work and also works in the medical clinic at Brisbane Youth service. She enjoys spending time with family and friends, gardening, yoga, exploring the world we live in and sitting relaxing on her back deck with a cup of coffee. 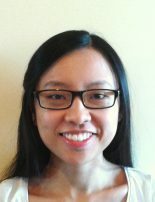 After spending time as a junior doctor and trainee in general practice, Dr Stephanie Chua has returned to Inala Primary Care for the third time. Stephanie enjoys the breadth and diversity of conditions and patients that present to general practice and she feels her best as a ‘generalist’. 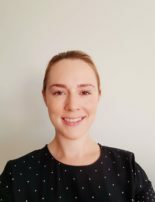 Stephanie’s special interests are in antenatal care, women’s health and refugee health and she performs the general practice procedures of minor skin excisions and Implanon removal. Outside of working hours Stephanie likes Pilates, crafts, reading and going to the beach, as well as playing the piano. 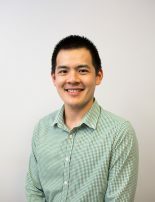 Dr Timothy Chan has returned to Inala Primary Care after completing his GP Registrar training. Tim’s special interests include general adult medicine, chronic disease management and children’s health. He is particularly interested and skilled in Advanced Skin-cancer surgery and comprehensive skin checks. Other procedural skills include Implanon insertion, and correction of ingrown toenails. Tim relates well to children and families and has a young family of his own. He also enjoys teaching the next generation of doctors in all aspects of Medicine as well as helping people who might routinely require hospital management to stay in the community. 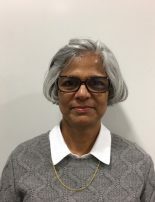 Dr Leela Arthur has a strong interest in preventive health care chronic disease management, particularly in the diabetes, cardiovascular disease and kidney disease triad. Women’s and children’s health are also high on Leela’s list of special interests and she performs, skin checks, skin excisions and Implanon insertions. Outside of work hours Leela enjoys spending time with her husband and two children and sings with a barber-shop chorus and quartet.